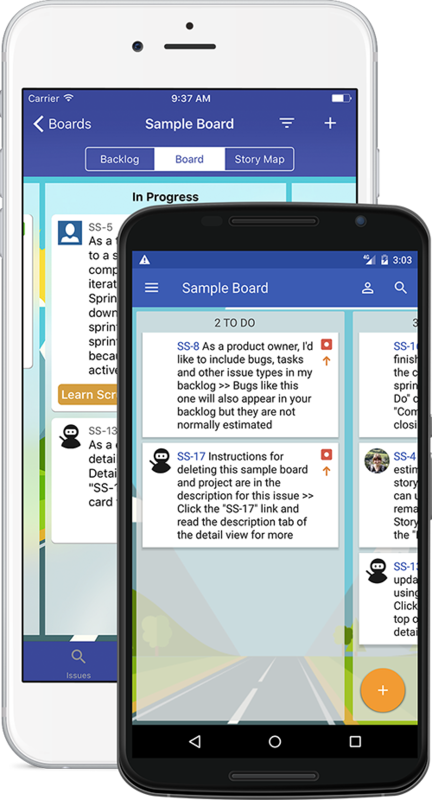 Jira in Motion is available for both iOS and Android. Jira Cloud or Jira Server version 7 and above are supported with support for Jira Software features (previously called Jira Agile). Step 1. Get the Android or iOS app. Step 2. Install our Jira add-on from the Atlassian Marketplace. Copyright © 2018 Lean Walk Ltd.